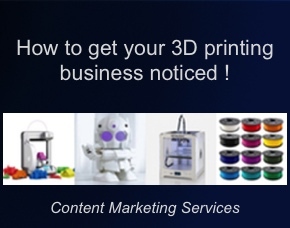 The latest from the world of 3D printing by CNET, 2013-01-09. Rich Brown gets a demonstration of the Cube 3D printer. Many think the inevitable is going to happen as 3D printers become affordable for consumers. In many ways, it may well mirror what happened in the early days of home computers and traditional printers. Many of us in the older generation remember the advent of home computing: the VIC20, Commodore 64, BBC computer and from Clive Sinclair the ZX80 and Spectrum. It then all got very serious as the PC arrived and of course Apple Mac went on a mission to dominate the world. The technology is just going to get better and better, making 3D printing more than a toy or a gimmick for your average Joe. As time passes, prices for 3D printers are bound to fall and their performance increase as greater competition takes hold. 3D printing is undeniably a growing market, attracting hobbyists and those that like to tinkle with new technology. The prosumer markets of professional 3D designers is also one which is now seriously dabbling with 3D printing for realizing their models and showing their clients a real touchable object. In fact, we are seeing fierce competition between the major manufacturers of 3D printers and new designers of these machines are coming to market every week. Manufacturers of 3D printing machines all want a share of the consumer market because of its potential size. Many of them are now selling their machines in retail stores, starting at around a $1000 or slightly more for the higher quality devices. We are even offering 3D printers for sale on our site from amazon which you can find a link to in the side bar. It is certainly worth taking a good look to see whether some of the latest bargains on offer are attractive enough for you to take the plunge.